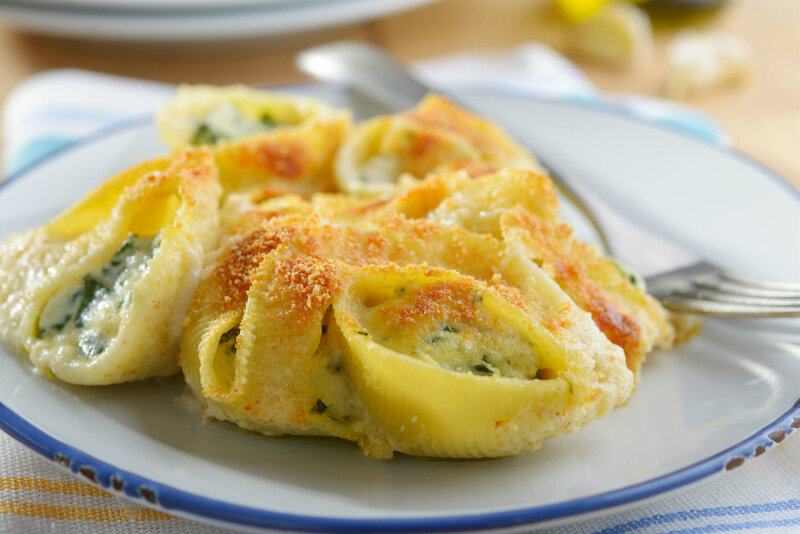 Do As The Italians Do…And This Stuffed Pasta Is Too Good To Miss! Pasta is one of our favorite things to make, not only because it’s amazing, but because it seems like there are infinite possibilities when it comes to preparing it. While the base pasta stays (relatively) the same, there are never-ending options for sauces and stuffings and ways to make it delicious. 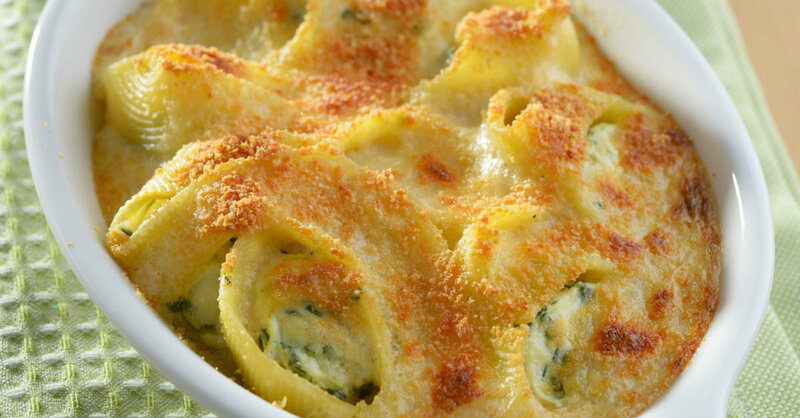 Below, we’ve got the recipe for a great stuffed and baked pasta dish we made the other night – spinach and ricotta-stuffed shells – that made us feel like we were back in Italy and that our family polished off in one go. The stuffing is delightfully creamy and the slight lemon-y tang strikes the perfect balance…what can we say? You can’t go wrong with this for dinner!